Technology is always progressive. If it is not, then it is not technology. Progressive web apps are also in fact progressive. Cross the limits, and make the different platform interact. Although, right now at its initial stage, but later the progressive web apps are going to bring a huge change. What is progressive stays always impressive. Everything changes in every now and then, but what stays constant for years, is the technological progress. Few years ago, native was the only way to develop the app and the apps were built targeted for a particular app. How long could it go, cross-platform was the demand of app. Now, one-step ahead, the Progressive web app, called as PWA, can be used in any kind of device, mobile, desktop or tablet. Any kind of browser can access it. With the introduction of Smartphone, app market boomed and buzzed with the stunning flood of apps and people started loving them. The sad/pleasant fact is that technical love does not last long, it always stays with the later one and progressed one. In the beginning, the developers used to force the audience to download the app, but later they found that most of them are either not downloaded or don’t install after download. What can be interesting is the fact that the PWAs are not needed to be downloaded from the app store and need not acquire the large space to stay on your device? PWA is a mobile app available and assisted by web. 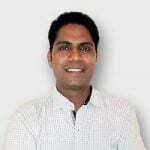 In 2015, Google introduced the concept of PWA, which was adopted by developer overnight and the user started preferring it. It functions exactly like the native mobile app leaving the disadvantages. 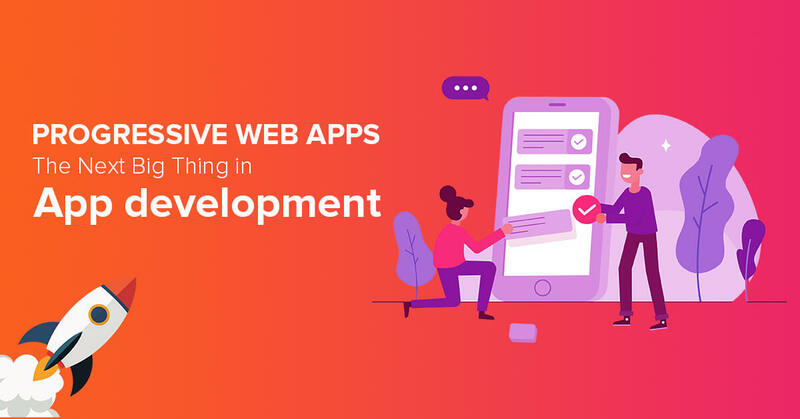 What made Progressive web apps development tempting for users and developer is that it runs through a web browser while giving the same feel and look like a normal app with all native app functionalities. Why Progressive web app development is the next big thing in the app development regime? The track is clear for PWA. User loved it, developers liked it, and PWA apps are no less than any native app. The world follows the rule of survival of the fittest. What is resilient always stays longer, stiffness breaks down with the time. The PWA has adopted the resilience. Few advantages make PWA the next big thing in the app development. The most interesting thing about PWA is that it can be accessed by any kind of device. Be it desktop, mobile or tablet. Any kind of browser can run it, if it is chrome, safari or opera. No limitation in usage. The feel of the app is never are compromised despite of being run on the browser. The PWA can be used with low sped internet as well. Even sometime offline too. Yes, you heard it right, you can use PWA even if data is off or your monthly internet subscription has come to an end. The PWA apps are built in a way to consume its functionality in offline mode too. The various service providers recommend and activate the cache and this way advantage the cache functioning at the time of scarce and no internet connectivity. Uber built an app, which can work with the 2G network. It requires just 50 kb for the request and response. So amazing, it is. A native app takes a large space. The complex the app is, larger it becomes to manage and store. A native app sizes between 20 MB to 500 MB. This sometimes pressure user to think twice before download. PWA eliminates this issue. It only takes a fraction of space, which is significantly lower than the space required by native apps. Believe it or not, a PWA app requires the space in KBs. PWAs are made to run over the web so there is very little space required to store the functioning app. think you got the reason behind the rush to hire an android developer. The loading time of PWA is many time lower than native, because of the less dependability on the device. No need to check for the regular updated, and staying attuned with the current version of the app. As PWA run through the web, the app always stays updated without even a single tap of the finger and the user experience amazing. PWA is easy to find and use. If are in hurry to hire android developer, just wait or a while. Unlike native apps, which are needed to be find in the app store, downloaded, installed, opened and signed in and then it starts working, the PWA can be accessed within a few seconds. Just visit the corresponding website and you are started. Like native apps, PWA can also be stored on the home page for easier accessibility. AS you open the page, there is an option you find, to add to home screen. You can always hire app developer for a customized option. For a popular brand, this feature has increased its market with 80 percent. While as Treebo introduced the PWA, the four times increase in conversion rate year over year was seen. Another important characteristic is the push notifications. PWA also triggers the notification like other native app or the instant notification even when the app is not open. A huge selling brand increased its re engagement by 250 percent with Push notification. With a roster of features to boast on, PWA is definitely the next hype in tech. For the startup, owners who have just forayed into the tech side and in no hurry to hire app developer must go through the PWA app. With no regulation of app store and strictness to follow guidelines, PWA is an open way solutions for everyone. The better user experience with mobile optimized pages and no need of huge data consumptions are the core attraction for users. PWA does not seem the way to stop here. It is all set to give a jolt to native. Get mobile app development services or hire app developer to understand and make the comparison chart.